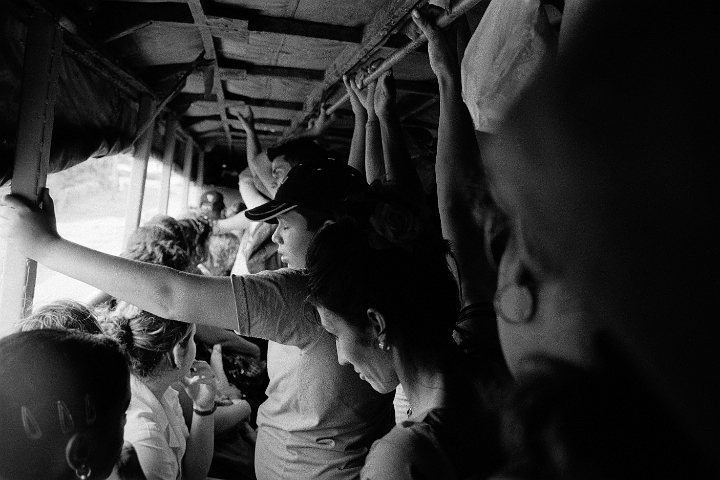 Camión, a truck modified with seats and a tarp covering the bed, traveling between Pinar del Rio and Cabeza. There were about 100 people squeezed inside. The one hour ride cost the equivalent of 40 cents.